QUETTA -- Pakistani Chief of Army Staff Gen. Qamar Javed Bajwa Tuesday (May 8) took part in a ground-breaking ceremony of fencing along the Balochistan portion of the Pakistani-Afghan border. The fencing will curtail the cross-border movement of terrorists and will help maintain law and order in border areas of Balochistan, Bajwa said at the ceremony in Panjpai, according to Inter-Services Public Relations (ISPR). "Special arrangements have been made to facilitate bilateral economic activity and legal movement ... through designated crossing points," ISPR said. Bajwa met with local tribes and "thanked them for their full support and co-operation in fencing as well as their participation in maintaining security". 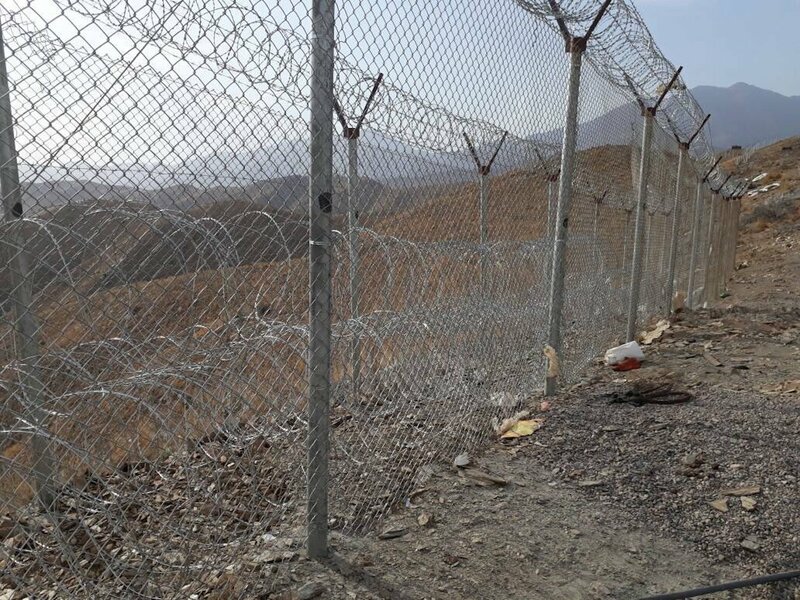 "The fencing along the border will control illegal crossings and cross-border terrorism, which is one of the major hurdles in ties between Pakistan and Afghanistan," said Burhan Hadi, a senior defence official based in Islamabad. "We are taking all possible steps to counter the militancy and radicalisation in our region," he told Pakistan Forward. "Securing our border with Afghanistan is the main theme of our goal for lasting peace." Maj. (ret.) Muhammad Omar, an Islamabad-based defence analyst, estimated that "almost 92% of Pakistan's 2,611km-long, largely porous border with Afghanistan will be fenced by the end of 2018". "The completion of this project will effectively address ... mutual complaints of cross-border terrorism," he told Pakistan Forward. "For a comprehensive security mechanism along the Pakistani-Afghan border, it is important to ensure that additional checkpoints are equipped with high-tech surveillance systems so that [the border] can be monitored around the clock," he said. After years of mistrust between Pakistan and Afghanistan, border security is still an issue, Omar said. 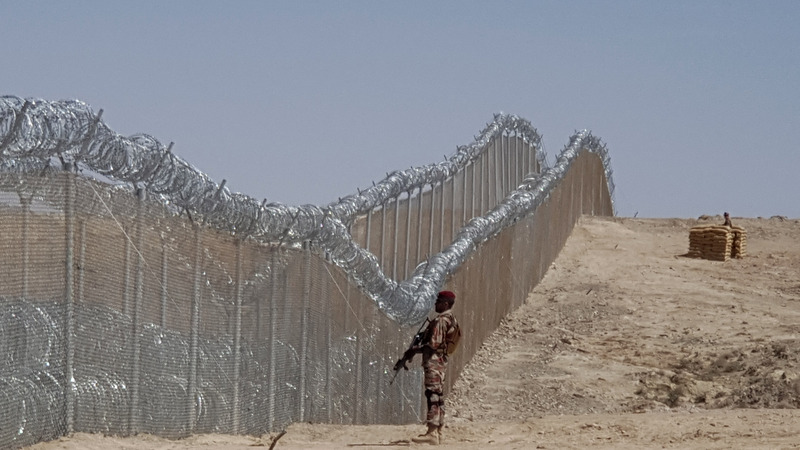 "Afghanistan said that the barrier will divide families on both sides [of the border], but it is important to consider that the fencing will greatly improve the security of the border," he said. "The militants' movement along the Pakistani-Afghan border is badly affecting bilateral ties," Muhammad Nadeem, a Quetta-based security analyst, told Pakistan Forward. "Therefore, the completion of fencing will eliminate the allegations that are being leveled by both countries regarding the sheltering of militants." In the past, unregulated border areas have been safe havens for militants and the main irritant in the countries' relations, he said. Tighter border security and "ongoing intelligence-based operations against militants and their facilitators have largely eliminated the militants' networks in the border areas", Nadeem said. "It is essential that both Pakistan and Afghanistan find a mechanism to manage, stabilise and control the unregulated joint border," he said. "Military co-ordination between Pakistan and Afghanistan is the need of the hour." The fencing is a key initiative to eliminate cross-border terrorism and to foil militants along the Pakistani-Afghan border, said Akhunzada Ali Khan, leader of Pashtun Muttahida Qabail, a tribal organisation. "Local tribes have great support for this project, and we all see it as an initiative of peace and harmony," he told Pakistan Forward. "Because of the tensions along border areas, many problems took place in our region and it badly harmed the economic condition of local tribes." Ongoing military operations against militants have left the tribal areas "largely free from anti-peace elements," Khan said, urging the federal government to continue to take "comprehensive steps for the security of our border". Pakistan has to definately avoid intervening internal and external affairs of Afghanistan. Pakistan’s military leadership is responsible for destruction of Afghanistan. They waged the proxy war American backing. They produced Mullas and so called Jihadists and they imposed their policies by considering Afghanistan their own property. Now it is time to let live by admitting Afghanistan’s complete autonomy. It vl minimize the security threata and the citizens vl be protected to a high level. Thousands of British Troops are being deployed in Afghanistan in coming days. In the name of the of training to Afghan Army. Thats a good thing, and this will help counter terrorism. It's a very good step indeed, I really liked it. This way terrorists won't be able to come back, good job. The project aims to deter cross-border movement of militants and improve regional security.